The following presents an overview of the 4th CMR's history, with details principally being taken from the regimental War Diaries and then cross-referenced with S. G. Bennett's extensive 4th CMR Regimental History (1926). The Battalion moved back into the Loos - Hill 70 front line on the 2nd, relieving the 2CMR. With a raid on the enemy's line carried out on the 7th, the line is held until the 8th with "practically no casualties". The 2CMR come back into the line on the 8th and the Battalion falls back to Reserve in the village of Mazingarbe. A combined Christmas / New Year dinner is held in the local cinema on the 10th, and after a few days of rest began supplying cable burying parties in the forward area on the 11th and 12th. News arrives in English papers on the 13th of Pte. Thomas Holmes being awarded the VC [the 4th CMR's only VC] for valour at Passchendaele on October 26th. Pte. Holmes was away on leave in England and missed the rousing three cheers afforded him for heroism which had already become legend in the Battalion. "Action for which Commended - For great valour and bravery during the action of October 26th 1917, near PASSCHENDAELE. When his Company was within 50 yards of a pill-box and was held up and forced to take cover, by two Machine Guns, mounted nearby, and by rifle-fire from the pill-box, he, on his own initiative, and single-handed ran forward and threw a bomb, killing the crew and putting the guns out of action. He then returned to his companions, secured another bomb, and again, under heavy fire, ran forward alone and threw the bomb into the entrance causing the nineteen occupants to surrender." 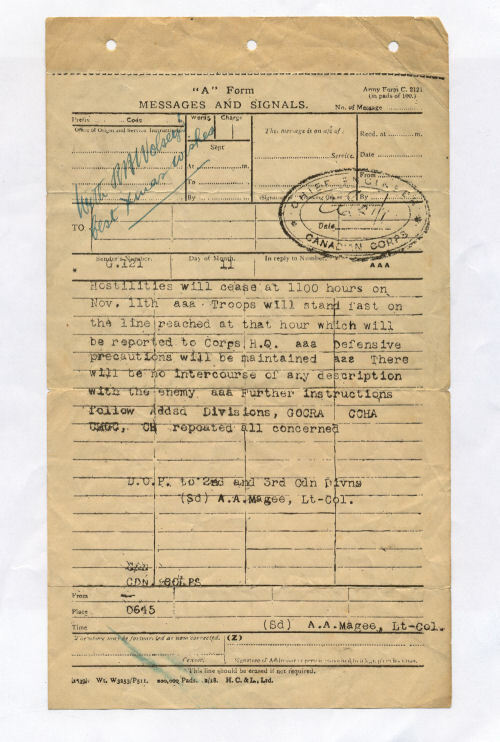 Source: 4th CMR War Diary January 1918, page 32, Library and Archives of Canada. Back into the front at Hill 70 on the 14th, relieving the 2CMR. A sudden thaw set in early on the 15th, causing the trenches to break down. Lt. Clarke led two raids on the enemy line on the 19th, and despite killing two of the enemy, no identification of who their opposite numbers were could be made. Work continued on making good the trenches amidst ineffective shelling until relief by the 7th Canadian Infantry Battalion on the 21st. Back in billets in Mazingarbe time was spent cleaning up on the 22nd and they left "that shabby little town, with its numerous claims for damages, without regrets" on the 23rd, arriving in Houdain in the early afternoon. Training occupied the remaining days of the month. Training, inspections, and manoeuvres carried out in conjunction with the 5th CMR kept the men occupied until leaving Houdain on the 17th. Of note on the 14th was the military funeral, at Bruay, given to Pte. Ernest Wood, who died of pneumonia the 13th. Via Estree Cauchie on the 17th, the Battalion moved on to familiar ground at Neuville-St-Vaast on the 18th, settling into billets at Cellars Camp on the north side of the town. The ground had changed in the on-going advance in the area, with levelled ruins, rebuilt roads, neat horse lines, reserve camps of Nissen Huts and not a gun in sight. On the 19th the Battalion moved into the front line, relieving the 18th Canadian Battalion in the right sub-sector of the Méricourt line. The Battalion strength at this stage was noted at 26 officers and 564 other ranks in the line. The section of front line, with a wide no-man's land, was noted as a "long-grass-sector after the barren mud of Belgium and Hill 70 sectors". The line remains "quite normal", with additional note of persistent shelling of the quarry area causing eight casualties by shrapnel around the 24th. A patrol found a pack of German newspapers, which were forwarded to Brigade for identification on the night of the 24th. The 1st CMR relieved the Battalion on the night of the 24th/25th. They fell back to the Support with B, C & D Companies located in Canada Trench and A Company in the Railway Embankment near Vimy. Working parties of 9 officers and 240 men were supplied to the 8th Field Company, including the Brass and Pipe Band, through to the 28th. The Battalion went back into the same piece of front line on the 1st. On the 5th, Lt. A. Clarke, Lt. Rutherford, Cpl. Docherty and Pte. Bell went out on a day patrol, encountering one enemy officer and six men. Lending chase and laying down a "revolver barrage", they killed one man and took another prisoner alive. It was noted that both wore the Iron Cross medal. A draft of 98 men from the 134th Battalion joined the 4th CMR in the line. A further patrol on the 6th saw Lts. Clarke and Rutherford and 12 men run into an enemy patrol of 60 men, which tried to encircle the 4th CMR patrol. Lobbing bombs, the patrol dashed to the left and broke through the encompassment at its weakest point. None were wounded. On the 8th the Battalion moved back to Supports in Canada Trench and the Railway Embankment again. A further draft of 20 men joins the Battalion as working parties are supplied for duty in the front line, now held by the 1st CMR. A gas shell attack on the support positions on the night of the 10th leads to 4 men being taken out of the line under the effects of gas on the 11th. A three man shower bath is constructed at the Railway Embankment as the Battalion has been so long in the front line without baths now. On the 14th the Battalion goes back into the front line, again in front of Méricourt. Just before daylight on the 15th, a patrol coming from a stint in no-man's land encounters an enemy patrol. A fight ensues, with two 4th CMR men wounded and Pte. O'Shaughnessey wounded and going missing (he was taken prisoner). Two enemy dead were brought in and buried. The 5th CMR, involved in a large raid on the 4th CMR's left about the same time, took 14 prisoners to the loss of their own Major Sneath (killed). On the 17th 4 men killed in a trench mortar attack on the 14th (Ptes. Kerr, Rennie, Sharp and Sgt. MacKenzie) are buried at Thelus as is Major Sneath. After 32 days in the line, 17 in the front line, 15 in support, the Battalion is relieved by the 52nd Battalion on the 20th and moves back to finally settle into billets at Hill's Camp in Neuville-St-Vaast at 4:30am on the 21st. The pressure doesn't let up, however, as by 9:00am 7 platoons are on permanent working parties in the forward area whilst 5 platoons are detailed to nightly working parties. Rumours of a large, enemy offensive to the south circulate through the camp during the afternoon. At 5pm the working parties are cancelled as and the Battalion is on standby to relieve part of the British 186th Infantry Brigade's line on the night of the 23rd/24th. On the 22nd the men make the most of a rest day, have baths, get paid and get re-kitted where possible. The Band holds a small concert in the afternoon. The 23rd sees the the Battalion go back into the front line, relieving three companies of the 8th West Yorks and two companies of the Duke of Wellingtons in and around the Railway Embankment in the Arleux Sector. Further wild rumours of the enemy's offensive on the Somme are fuelled by heavy artillery fire to the south on the 24th. However, the weather is good and things are quiet on their piece of line. The 26th sees wilder offensive rumours and then a two seat German aircraft was shot down on the 4th CMR's line. The two aviators were captured and brought in by the 1st CMR. All regiments on the line claim a piece of the aircraft "kill". The Battalion is withdrawn to Divisional Reserve on the 27th/28th and settles into cramped billets at Cubitt Camp in Neuville-St-Vaast on the 28th. Things were not to settle, however, as two messages in quick succession had the Battalion respectively at readiness to depart for the front line again with 30 minutes notice then to be ready at a moment's once. At 12:30pm the Battalion moved off and were once again in the support line in the Arleux Sector. Two platoons further went on to relieve companies of the 5th CMR into the early hours of the 29th. Things moved quickly again and with relief activities going on in the front line, the Battalion was out of the line and back at Cubitt Camp, Neuville-St-Vaast early on the 30th. The 31st was Easter Sunday, and the Battalion held baths, church parade, muster parade and carried out a general clean-up of the camp, which had been left in a very shabby state in their short absence. Having had no rest since February 19th, the troops endeavour to make good the camp and rest, despite a battery of six South African howitzers scattered around the camp. The afternoon of the 1st sees a German scout plane shooting down three observation balloons along the front, and although subjected to extensive rifle fire, gets away. The whole Battalion proceeded to Ecurie to work on new south-east facing reserve line trenches on the 2nd and on the 3rd provided night working parties in front of La Chaudiere, without casualties. After a rest day on the 4th, the Battalion, with its strength at 32 officers and 780 other ranks, moves back into the front line to relieve the 52nd Battalion at the Acheville Section. The line was held in deteriorating weather, with efforts put into improving the trenches and wiring through to the 11th, when the whole Canadian Corps "side-slipped" to the left, putting the 4th CMR at Hill 70. On the 12th the Battalion returned to billets at Cubitt Camp, Neuville St. Vaast, around 3am and was on the move again at 5.30pm, boarding a miniature railway on the Arras-Bethune road south of Aix Rietz Corner. They arrive at Aix Nouette at 1am on the 13th and marched on to billets at Les Brebis, in reserve, which they reach at 4am. Following a visit by French Premier, M. Clemenceau, Les Brebis, the population of some 7,000 people, mostly employed in the mines or running small shops and estiminets, is ordered to evacuate due to the proximity of enemy action to their north and south. The evacuation continues for two days, with transport taking away the goods and chattels of the civilians, whilst the area is reconnoitred as reserve in case of enemy hostilities. 50 men are despatched to join the Special Machine Gun Company on the 14th. 4th CMR patrols work the town to prevent looting on the 15th and put on readiness to move on the 16th, the Battalion goes back into the front near Hill 70 and Les Brebis, relieving the 2nd CMR, on the 17th. The 1st CMR are to their right, the 1st Lincolns to their left. Through the 18th, enemy shelling was sporadic and centred on nearby La Basse, Loos, their own front briefly, and Les Brebin, where one civilian was killed and several others injured. Strong patrols kept posts and no man's land free from enemy activity and British aircraft dropped below 100ft to machine gun enemy trenches, welcoming in their inexperienced relief. An enemy aircraft retaliated by dropping bombs which wounded three "A" Company men. A planned gas attack was postponed due to failure of the wind on the 20th, whilst an identification raid on the opposite lines was successful. A further raid on the 21st saw 4th CMR men in enemy trenches for an hour, bringing back a prisoner from the 190th Infantry Regiment, 2nd Ersatz Battalion, two machine guns and four 4th CMR wounded men, one of whom, L/Sgt. Harry Boyce, subsequently died on the 22nd. The 23rd sees relief by the 2nd CMR and the Battalion falls back to support in Loos. It is noted that the casualties for the six days in the front line are: 4 killed, 12 wounded, 4 missing. 19 reinforcements were received, with the other rank's numbered at 726. Working parties of up to 460 men are supplied for trench repair, wiring and salvage work in the forward support area from the 24th through to the 27th. On the 28th the Battalion moves back into the front line at Hill 70. Due to wet weather on the 29th, causing the trenches to fall in spots, the front line in this area (Hugo Trench) is described as an outpost line only, whilst that surrounding it is fairing better. A planned raid for the 29th is cancelled as word is received that the Battalion is to be relieved by an Imperial Brigade, signalling that the 4th CMR will be in a "Push". It is acknowledged that they have been lucky to be out of the "tremendous fighting" over the last five weeks. Officers of the 7th Northamptons, 73rd Brigade, came up to study the Line prior taking it over on the 1st of May. Following a gas attack on the 1st, which saw one man killed (Pte. Gordon Henderson) and another evacuated due to gas injuries, the 7th Northamptons come back into the front line, and on the 2nd, after marching to Les Brebis and being treated to "cauldrons of tea" courtesy of the YMCA, the Battalion moves by 31 lorries to Monchy Breton, 11km west of Lens, amidst 10 to 1 betting that they are for action at Kemmel Hill [scene of a recent, successful German offensive against the French], South-West of Ypres. After a short stop for food and rest, the Battalion marched further on to Magnicourt and into comfortable billets in very pleasant civilian and rural surroundings. Here they paraded, trained and the Band held nightly concerts in the streets of the village, until moved to Rely, 15km to the North-West, on the 5th. More training undertaken, with baths for one company, before very heavy bombardments nearby brought with them orders to be prepared to stand to arms at 10 minutes notice on the 7th. After further training on the 8th, the Battalion moved out on the 9th and marched to Ham en Artois, 8km to the North-East of Rely. Settling in to agreeable village life in Ham en Artois, officers and NCOs go out in small parties to survey the support line on the 10th, and a party of 500 men are put through a 2 hour march to Le Reveillon, to provide a working party to lay a roadbed for a light railway, in error on the 12th. The day was concluded with a concern composed of talent purely from the Battalion. With further training and concerts, tactical training was undertaken on the 15th, in the vicinity of Ham en Artois, although it was noted that it was difficult to imagine the warfare scene amidst green and untouched surroundings as those they found themselves in now. Battalion muster was carried out on the 16th, with 38 officers and 927 other ranks present and correct. Pay was issued, baths secured to complete the wash routine for the Battalion, and the 9th Field Ambulance teams were beaten by the 4th CMR in football (soccer) and baseball. On the 18th, Divisional Routine Orders announced that Capt. L. B. Bumpstead and Lt. G. Heighington had been awarded the Military Cross (MC) and both Sgt W. Nodwell MM and Sgt. G Price had been awarded the Distinguished Conduct Medal (DCM). Musketry practice was held on the 19th and a tactical exercise on the 20th. On the 21st the Battalion marched to bivouacs at Fontes (near to Busnes and 3km from the front line) on the La Bassee canal. Working parties concentrate on defensive works along the canal, whilst training and concerts continue. Victoria Day, on the 24th, is marked by heavy rain, which is unpleasant in the bivouacs. Training and guard duties continue through to the 31st, when the Battalion is relieved by the 116th Battalion and marched to "no prettier nor more comfortable billet in France", Enquin-les-Mines that evening. Tactical exercises kept the Battalion busy on the 1st, and the 2nd marked the 2nd anniversary of that fateful day in 1916 when the regiment was decimated in the Battle for Mount Sorrel. A commemorative Church service was held, in which Capt. Holman, of the 1st CMR, to the 4th CMR's left that day, gave a personal recollection of the events of that day. "The Band played "Abide with Me" while the Battalion stood to attention, and Capt. Holman read a prayer for the valiant dead." Musketry practice, a concert and rest followed on the 3rd, accompanied by the first claim from a local, a Monsieur Boutin, for damage to crops on the 4th. Claims dogged the Battalion in their last stay in Enquin-les-Mines in the previous December. Training and gas drill occupied the 5th, training alongside tanks, the first seen at close quarters by many of the men, ensued on the 6th, the 7th saw live ammunition musketry practice and after Battalion baths on the 8th, Battalion Orders brought notice of the Military Cross (MC) being awarded to Lt. Arthur Clarke, and the Distinguished Conduct Medal (DCM) to Pte. S. Foster, Sgt F. Lyons and Sgt. W. Older. Church parade and a rest day came on the 9th, followed by further day and night manoeuvres on the 10th and 11th. Musketry and machine gun practice occurred on the 12th and 13th, the latter date also including a successful sports day. The 14th saw victory over the 2CMR in baseball, but defeat to them in football. The 15th to the 17th saw further training, and the 18th was the day of the Brigade Field Day, held in a field in Erny St. Julien. The 4th CMR we last due to an epidemic of fever taking the best athletes out of the events. However, the 4th CMR beat the 5CMR 11-9 in baseball and thereby securing the Brigade Championship. The extent of the fever saw the Battalion excused from inclusion in manoeuvres on the 19th. Back with baseball, for the Divisional Championship on the 20th, saw the game awarded to the 4th CMR after the Combined Ambulances of the 3rd Division refused to play on in the 7th innings after "differences" with the umpire. All companies fired on the ranged on the 21st, were paid, held baths and 174 men were inoculated. However, the Battalion baseball team was ordered to replay the Combined Ambulance team and lost 14-4. With the fever beginning to ease up on the 22nd, further divisional sports were held on the 23rd before short notice for preparation to go back into the line the following day was received on the 24th. The Battalion entrained at Aire on the 25th and travelled to Savy, arriving there at midnight on the 25th/26th. They then marched on in to Manin at 3.15am on the 26th. Resting on the 26th the Battalion trained and involved themselves in further sports until the 29th, when they were moved on to Bretencourt (South-West of Arras) where they took up quarters in Nissen Huts. With changes of clothing arranged, Church parades occupied their time on the 30th, before moving off to take the support line in the Mercatel Sector (4km South of Arras) with a strength of 40 officers and 743 other ranks. Now part of VI Corps, the Battalion relieves the 25th Canadian Infantry Battalion in support at Mercatel on the 1st, with the support of bicycles for use by HQ Officers and runners and 36 Lewis Guns in the line. The support line is held without incident until the 8th, when the Battalion moved into the front line, to hold 1,800 yards of frontage. On the 9th, five brigades of 18 pounders and 4.5's behind the Battalion put over 6,000 rounds of gas shells, high explosive (HE) and shrapnel, with little retaliation. On the 10th Pte. Fred Wilson, after returning from a patrol, selflessly walked away from his comrades when he realised that the pin from a mills bomb had come out in the process of removing the bomb from his pocket. Turning the pocket away from his fellows, Fred Wilson was mortally wounded by the subsequent explosion. "All ranks appreciate the presence of mind and heroism of Pte. Wilson in thus protecting his comrades." A raid in the enemy's front line on the 12th secured rifles, gas masks and a letter to a man in the 161st Infantry Regiment, but no prisoners. A larger scale raid on the 13th, involving 60 men, also confirmed the 161st Infantry Regiment opposite, but in the withdrawal one private, Alfred Brock was killed and Lt. Geoffrey Heyworth and two other ranks were wounded. The 49th Canadian Battalion relieved the 4th CMR on the 14th without casualties, despite "Jerry" getting wind of the change and laying down extensive fire on the decoy intermediate support trenches. However, the HQ Boxes and kit, awaiting loading onto limbers were hit by a 5.9 shell and badly damaged. The Battalion fell back to billets at Wailly Wood. Resting through the 15th the men were able to appreciate the shade of the trees and made use of the swimming pool at Wailly. Luxuries continued on the 16th with hot water baths at Bretencourt and a change of clothes for all. Rest and recuperation was the order of the day on the 17th and 18th, where it was noted that the Battalion's newspaper, "Dismounted Foot Notes", first "hit the streets". Further training occupied the time until orders were received to move to just West of Etrun on the 23rd, where they settled into "Y" Huts. The Battalion stayed at Etrun until the 25th and then moved on 5km to Cliff Camp on the 25th, providing 500 man working parties and undertaking musketry practice until the 28th when uncertain orders to move again came through. Rumours were once again rife, with talk of movement south, then north and then more outlandishly to Russia circulating. Entraining at Acq, the Battalion travelled, albeit uncertainly, to Arneke (25km or so West of Ypres), reaching there around midnight 29th/30th. The R.T.O (Rail Transport Officer), described as "a very meek, pious, dyspeptic looking, spectacled youth" de-trained the Battalion and advised that it was now part of the 19th Corps and would be billeted locally. A local farmer was very hospitable and turned out of bed in the early hours, handed over his barns and saw everybody bedded in for the remainder of the night into the 30th. Leaving there at 1pm, the Battalion marched on via Cassel and Steenvoord, to St. Eloi, well known to many of the "originals". By late afternoon the Battalion found themselves under the orders of the 122nd Infantry Brigade and settled in at Abeele (South-West of Poperinghe), where they settled in on the 30th and 31st. The Battalion marched from Abeele to La Clytte [now Klijte-Dorp], relieving the 15th Hampshires within sight of Kemmel Hill on the South-West side of Ypres on the 1st. On their left was the Essex Battalion, 6th Division, and on the right, the American 106th Regiment [formerly the 23rd New York Infantry Regiment], attached to the 41st Division. On the 2nd, now in full view of the enemy on higher ground, no movement was permitted in daylight, bringing the need to sit tight in the trenches in dismal wet conditions. Around 6am on the 3rd saw Capt. T. Dixon MC MM killed by a shell striking "B" Company HQ. Capt. Poyser was wounded. The early hours of the 4th saw the Battalion relieved by the 12th East Surreys and moved to Wippenhoek, near Abeele. 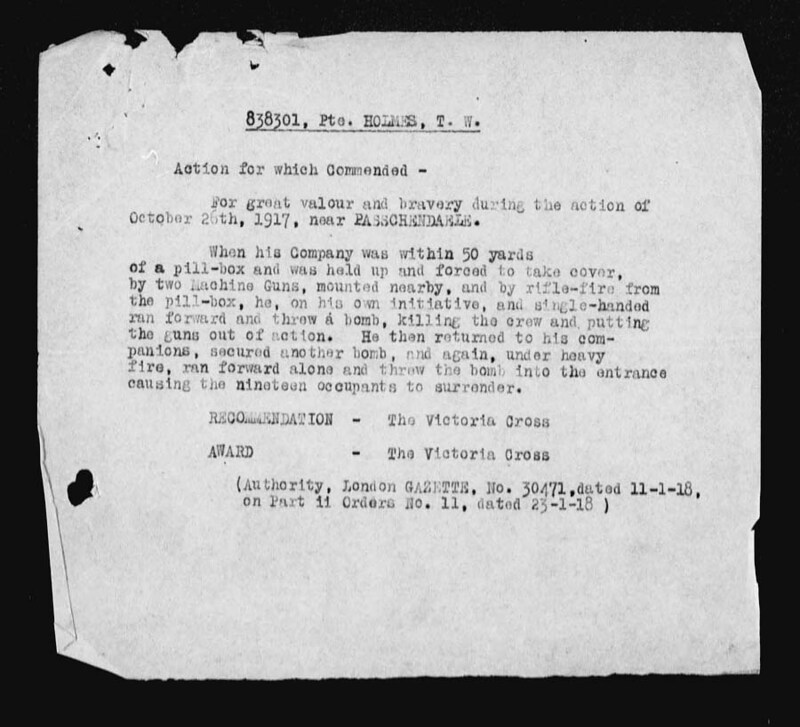 They were now part of the Fourth Army, making this their third transfer in 38 days: June 30th saw them moved from 1st Army into the 3rd Army, and then on July 29th into the 2nd Army, and thence on the 4th into the Fourth Army. A 4th CMR "original", Capt. Dixon joined as a private and rose to Captain. His funeral was held at Wippenhoek Cemetery [now at rest in Lijssenthoek Military Cemetery] on the 4th. Marching to Poperinghe, the Battalion boarded 40 lorries at Nieurlet, North of St. Omer, arriving there early on the 5th. Boarding a train at St. Omer comprised of 30 box cars, 17 flat cars and a carriage for officers, the Battalion makes a fast journey on the 6th to Amiens, from where they march to Boves, where they hit a huge traffic jam in evening heavy rain and take until 5.30am to reach their billets. The town is described as a "centre of the most seething activity by night. By day the whole place is as still and innocent as a village in the Midi. But at dusk the devil is out. From hidden corners and crannies out come monstrous tanks in astounding numbers, guns, tractors, lorries, thousands upon thousands of wagons, to resume their eager journey forward. It is a tremendous scene." With the realisation that the recent detour back through Belgium was part of a ruse to fool the enemy, they settle in at Boves, get fully kitted out on the 7th, and ready themselves for the "big biff" to come. Moving to positions at Gentelles on the 8th, the Battalion was to provide support to the 1st and 2nd CMRs, attacking the line along the north shore of the River Luce. After an early hurricane barrage and rolling bombardment, the Battalion moved forward in single file to the second assembly position in a chalk ravine. With scores of enemy prisoners streaming rearward, it was learned the attack was a surprise and hugely successful. On the move in the early afternoon, the Battalion joined the pursuit and moved forward to an overnight bivouac South-East of Hangard, near Demuin. The 9th saw the Battalion ordered to come into "definite touch" with the enemy and take Folies village, some 25km South-East of Amiens. With three tanks allotted to them, companies of the 4th CMR fought forward and by 5.30pm had successfully taken the town. Losses in the attack amounted to much lamented death of padre, Capt. W. H. Davis, and the loss of Lt. A. D. McDonald. Three officers were wounded, 12 other ranks killed and 62 wounded. The Battalion was credited with taking three German officers and 123 other ranks prisoner, as well as gaining machine guns, saddle horses and one pigeon-loft complete with 300 pigeons! On the 10th, the 32nd Imperial Division passed through the line and made an advance of 1,700 yards, driving the enemy out of range. The Battalion stayed in its position at Folies for the next week. Relieved by the 4th Canadian Battalion on the 16th, the 4th CMR moves to woods behind Le Quesnel and digs in. Working on a third line trench in front of Le Quesnel for the next few days, the Battalion is treated to much needed and appreciated baths on the 19th. After moving out to "destinations unknown" on the 20th, the Battalion arrives into billets at Humbercourt, north-east of Doullens, on the 21st, only to be moved on again in the afternoon, reaching Warluzel, further north-east, at 10.30pm. On the march again on the evening of the 22nd, the Battalion finds itself in "splendid billets" some 15km west of Arras, in Lignereuil, with warning that they would soon be back in the line, relieving the 17th Corps Cyclists and 1st Life Guard Machine Guns. Sure enough, on the 23rd, the Battalion is moved to the outskirts of Arras and at dusk it sets off for the line. Taking up the front at Feuchy, 5km to the east of Arras, on the 24th, the left, "B", company was shelled with gas and shrapnel rounds, causing casualties to 5 officers and 116 men. A planned attack on Monchy-le-Preux on the 25th was postponed to 3am on the 26th. At that time the 4th CMR went over the top, with the first casualty, Lt. Alastair N. Brown, falling to "friendly fire" from 152nd Battalion machine guns sweeping too wide on the left flank from across the river. By 6.30am all the initial objectives had been reached and further actions in support of the 1st CMR and latterly the 49th Battalion continued through the afternoon. Holding their line through the 27th, the Battalion, working with the 52nd Battalion, was ordered to take enemy trenches south of Boiry on the 28th, but such was the advance that the Battalion had to march 6,000 yards over difficult ground to begin engagement. Through the day, sometimes under withering machine gun or open sight heavy gun fire, the Battalion pushed forward and by sundown had taken its objectives. During the day, Capt. Steer, although wounded, saw 60 prisoners into the rear area. The Somerset Light Infantry relieved the Battalion into a rest day in the early hours of the 29th. Casualties amounted to: 4 officers killed, 11 wounded, and 22 other ranks killed, 214 wounded. Marching on to Lattre St. Quentin (9 miles, 15km west of Arras) on the 30th, the Battalion settled into billets and took time to re-organize and re-equip. Baths and clean clothing were the order of the day on the 1st, with Church service in the afternoon, led by the new padre. Training recommenced on the 2nd, with word that they would be on the move before the day was out. Indeed, by 10pm they were back in Arras and quartered in the Museum. Apart from an odd shell dropping into the outskirts of the city during the 3rd, time is taken to rest and reorganize the companies. Equipping with munitions on the 4th, in readiness to go into the front area around Vis-en-Artois, in Divisional Reserve, whilst company Scouts take part in a photographic and moving picture sessions "rescuing" repatriated Arras citizens. Back into the line on the 5th, at Vis-en-Artois, 10km south-east of Arras, the Battalion settles in and makes its own bivvies and funk holes in an otherwise unaccommodating area, subject to, without casualties, area shooting by the enemy guns until the 9th. The 10th sees efforts to collect large amounts of salvageable material in the area and also a leaving speech by Major-General Lipsett, who was leaving to take command of the 4th Imperial Division. 19 officers and 512 other ranks move forward to relieve the 58th Canadian Battalion in the Support Line on the 11th. Now in the villages of Recourt and Ecourt-Saint-Quentin, with battery positions nearby, the enemy aircraft are active between showers on the 12th, and a considerable amount of gas shells are being put over too. On the 13th, as weather cleared and enemy aircraft bombed nearby Saudemont, where "B" Company were holding, a "B" Company sniper managed to shoot down an enemy carrier pigeon. The message was retrieved and sent back to "I" branch for interpretation. Also a large number of German orders and medical supplies (of English manufacture) were discovered nearby. On the 14th the enemy endeavoured to shell a nearby 6 inch gun emplacement, making life in the nearby HQ unpleasant. Of particular note on the 15th, a German aircraft, a Pfalz D XII, flown by "the famous Vogel", was shot down by British aircraft - this was Ltn. d R. Paul Vogel, shot down by British aircraft of 1 Sqn (2Lt. D. E. Cameron, flying an SE 5as) and 62 Sqn (Capt. W. E. "Bull" Staton and 2Lt. L. E. Mitchell, flying a Bristol F 2B). Although Ltn. Vogel was taken prisoner, he later died of his wounds. Shelling continued on the 16th, to the loss of 2 other ranks killed, 12 wounded and 5 gassed. Life continued to the 19th, when relived by the 8th Middlesex Battalion. Falling back to Vis-en-Artois, the Battalion entrains at Croisilles and travels to Wanquentin, 10km west of Arras, before detraining and marching out to billets at Simencourt, 4km away, which they reach on the 20th. Musketry, gas parades, general training and preparation for a "show" continues until on the 27th they move back to Wanquetin to the train, and find themselves back at Croisilles and into an "area" - just a map reference held by both home and enemy forces alike behind concentrations of wire - in time for the Battle of Cambrai-St.Quentin. The 3rd Division is in Corps Reserve, so is not involved in the opening stages of the battle, but is at stand-to in case it is needed. Moving forward, but still not required, the Battalion bivvies down amidst shell fire that causes casualties to two horses only. The 29th sees orders to support the 1st and 2nd CMRs, who are to go into action in front of St. Olle and to the rear of Neuville St. Remy, on the north-west side of Cambrai. The 5th CMR are in reserve. Coming under heavy shelling as the Battalion moves up, Lt. Edgar Rule is killed and 6 other ranks wounded. However, through to the 31st, due to slow progress and St. Olle not being cleared as hoped, the Battalion holds ground and whilst the threat of a flanking action by the enemy is thwarted, the Battalion is used to seize bridgeheads and hold them pending further orders. Now using "Continental" time recording, and with the battle waging to their left flank, the Battalion continues to hold their position through the 1st and on into the 2nd, when they are moved forward to again support the 1st and 2nd CMRs in the front line and are in readiness for any counter-attack. On the 3rd the Battalion moves up and relieves the 2nd CMR in the left front sector of the line under what was termed "semi-open warfare". The 4th sees the Battalion dug in and their spirits bucked up by news that Lens had fallen. Enemy H.E. and gas shell strafing occurred on the 5th, without casualty, and the early hours of the 6th saw heightened shelling, which saw a dump set on fire in front of "B" Company. On the 7th a cordite dump was hit and set on fire in front of "A" Company. With all personnel out of the way, 15 minutes later the dump exploded, leaving a 70 feet wide and 30 feet deep crater in the recently vacated area. It was estimated that some 800 rounds of medium and heavy shells were directed at "A" and "B"'s front, without a single injury. Engineers brought up ladders and cork floats in preparation for action about to be ordered in a push to Cambrai. The plans for the action are cancelled late on the 8th and rescheduled for the early hours of the 9th. However, heavy shelling once again is brought to bear upon the Battalion, and 3 other ranks are killed and 22 are slightly gassed but not evacuated. "C" Company and 1 platoon of "B" Company launch into a raid on strong points (two houses and a slag heap) on the left front after a "thrilling barrage". The raid is a success, being completed by 02.20, with 8 wounded and 58 unwounded prisoners bring brought in. The planned wait for 15 hours before rotating units and continuing the offensive was put aside and the attack continued by the 2nd Canadian Division, who pushed on and took the second phase objectives before noon. Cambrai is in Canadian hands, much to the 3rd Army's chagrin, with the 4th CMR assisting the Engineers in bridge heading before being the first Battalion to pass through the fallen town, where they established a line on the east side of the town. It is clear the enemy has left the town wrecked and looted prior to their hasty withdrawal. On the 10th, by 13.30, the Battalion have been ordered out and relieved by the Seaforth Highlanders, they head for rest billets, which are in a system of trenches on the old Hindenburg Line [near Inchy-en-Artois]. On the 11th H.R.H Prince of Wales makes an unannounced and short but pleasing visit to the Battalion. Camp clean-up, baths and pay day occupies the men through to the 13th, when a report arrives indicating that the enemy has accepted President Wilson's peace terms. The 14th sees continuing good weather and the men spend a good rest day out in the open. The 15th, however, brings upsetting news that Major-General Lipsett had been killed by a sniper on the 14th and each unit in the Division sent 100 men of all ranks to the funeral on the 15th [he now lies at rest in the Queant Communal Cemetery British Extension, 25km south-east of Arras]. The weather turns colder on the 16th, and the men are grateful for the issue of heavy underclothing. Training and musketry practice continues. The activities of the 17th centred on a Corps Commander inspection, which passed wholly successfully. Training occupied the 18th and baths on the 19th in preparation to moving out again. On the 20th the Battalion marched to Inchy-en-Artois, and by bus find themselves at Douai, 15km south-east of Lens, where they march on to billets in the Tuberculosis Sanatorium in Montigny[-en-Ostrevent]. On the 21st they march north-east on to Rieulay, where they are met with great enthusiasm by the locals, who stream into the tricolor bedecked streets and cheer "Vive la France" and "Vive la Canada". They move on eastwards to Hornaing on the 22nd, and thence east again to Arenberg on the 23rd. The town, like so many now, has been wrecked by the retreating enemy, who has also seen to the local pit-head and railway, rendering them useless. Training is mingled with events involving the locals until the 27th, when the Battalion is moved off to relieve the P.P.C.L.I. in their left-support line position on the Valenciennes - Tournai road, now some 10km behind the front line. Working parties are supplied to the Canadian Engineers on the 28th and 29th, whilst clearing up of the billet area and surrounding countryside sees 50 cart-loads of rubbish taken away. Enemy aircraft drop propaganda leaflets on the Battalion position during the day, which are reported to provide much mirth to the troops. Relieved by the 52nd and 116th Battalions, the 4th CMR moves on into a 5,000 yards wide front line in the west bank region of the canal area to the immediate south of Anzin (north-west of Valenciennes centre), which is held mainly by outposts, on the 30th. The area is flooded due to enemy destruction of the canal [Scheldt or Escaut River] and its bridges. Although quiet on the 31st, possibly before another "allied storm", Battalion "snipers get a few hits". A further report is received that indicates Turkey and Austria "were calling quits" and confident remarks close the Diary for October with, "There will not be another October in the "Great War"". Patrols make daring crossings of the canal on the 1st one with C.S.M Goodchild and 15 men capture 7 unwounded and 3 wounded enemy. Further endeavours on the 2nd to establish crossings and posts on the east bank are deemed useless to attempt on account of a strong enemy presence. With the 5th CMR ordered on the 3rd to pass through Onnaing, across the canal, the Battalion considers of its own accord that it should too endeavour to get across the canal and establish itself. A patrol is sent out in the evening to see if it can contact the 1st CMR, who are also reported to be across the canal nearby, only to find itself shot at by a 1st CMR post. Connection is established with the 1st CMR and a line established. On the 4th "C" Company undertakes securing of a section of the railway line on the east side of the canal, north of Valenciennes, and do so by 07.00; driving an enemy machine gun detail down-line in the process. Lt. Nicholson is killed, and Lt. McDonald and 5 men are wounded. "D" Company are unable to secure their portion of the railway, due to the 5th CMR not clearing their objectives in time, so spend the night out as outposts, whilst a heavy bombardment is put upon the 5th CMR "slag pile" objective during the night. Early on the 5th the slag pile is taken and the railway is secured, with the push being continued north of Onnaing, through Vicq, where the Battalion is ordered to consolidate. In the process of Lt. Moore taking a patrol along the railway north of Vicq, they again come under fire from the 1st CMR, who wound two 4th CMR men in this the second such incident under the sights of the 1st CMR. Brigade subsequently orders the 1st CMR to hold the railway line, allowing the Battalion some immediate respite. Vicq is shelled by the enemy heavily during the night. On the 6th the Battalion is again ordered to support the 2nd and 5th CMRs on their advance, and provide cover on the left flank. The 5th CMR secured their objectives and in the early evening orders are received to push on through, which the Battalion does using the road and railway, for some 12km. Orders are to push on north-eastwards [towards Mons] if not in contact with the enemy until 06.00 on the 7th. This they do, admirably in the dark of the night, and without rest, and together with the 2nd CMR, they cross the Honelle River on the 7th and the Battalion engages the enemy along the Mons road and "A" Company met opposition at the village of Thulin. Although held up by enemy machine gun fire and lack of their own supporting heavy artillery, the enemy is harassed until the Battalion is relieved of what would be its final action in the war, by the P.P.C.L.I. at 22.00. Marching into billets at Blanc Misseron, between Quievrechain (in France) and Quievrain (in Belgium), they take well earned, long overdue rest on the 8th. Resting and cleaning up until the 10th, the Battalion is in Divisional Reserve, but as the advance is happening so quickly, it rapidly finds itself well in the rear. Moving to Saint-Ghislain, 10km west of Mons, providing crater filling working parties on the Valenciennes - Mons road en-route. The last of the Battalion arrives into billets at 18.00 Lt. Griffin, 2 men and several citizens are wounded in the town by last ditch shelling by the enemy. It is noted in the War Diary that there is a great difference in how the occupants of two towns, one French, the other Belgian, have been treated. Although each is just on the border, Quievrechain (in France) and Quievrain (in Belgium), it is the French town that was by far worse treated by the enemy during occupation, whilst it is observed that it is difficult to imagine occupation or that a war was on in the Belgian town. A special order is received from Brigade at 08.00. Taken from the War Diary: "Special O.R. from brigade, arriving at 0800 hours advises that the German authorities have accepted Foch's terms, that hostilities cease at 11.00 hours and all troops stand fast. It is surprising the little effect this announcement has on the troops. Some remarks - "Well, it had to come some time; perhaps this is a little sooner than expected." The civilians are a little more enthusiastic, but is seems the Battalion feel, for all they have been through, that the town looks too well looked after and that the locals did not give "the enemy enough trouble or discomfort during his occupation". Hostilities ceased on the 11th hour of the 11th day of the 11th month. The Battalion is active on the 12th, building a bridge over the canal at the east end of town and then, at very short notice, receives orders to march to Mons. They arrive in Mons at 18:00, with the Battalion HQ in No. 4, Grand'Place. Respectable billets are procured and the Battalion settles in to clean up, do a little sight-seeing and watch a production of "H.M.S. Pinafore" in the city theatre. Preparations are made on the 14th to receive a possible visit to the town from H.R.H. Prince of Wales, General Horne (Commander of the First Army) and possibly the Belgian King, Albert. General Horne subsequently makes a visit on the 15th, laying cause to a 2 hour march past in which every unit in the army is represented. Capt. Waddell MC, 2 officers and 80 men represent the 4th CMR. The 16th sees preparation for the coming march to the Rhine. Church parades are held on the 17th and further endeavours to clean up and smarten up are made on the 18th. Training and further smartening up occurs on the 19th, "with a route march thrown in for good measure", whilst steel helmets and S.B.Rs (Small Box Respirators) are collected and packaged ready for the move. It was noted on the 20th that there was some evidence of the "Spanish Influenza" in the Battalion. It seemed this was a mild attack of flu as there had been no deaths reported. Leaflets with the words of the Canadian National Anthem are distributed to every man in the Battalion. On the 21st the Battalion is reminded of the need to adhere to strict sanitary measures in areas recently evacuated by the enemy. Training continues on the 22nd, where it is noted that the health and deportment of the men has improved with excellent rations continuing to reach them. On the 23rd visits are allowed to neighbouring regiments, to see old friends, etc. Church parades and training occupy the 24th and 25th. The 26th sees the introduction of a new training schedule, whereby two and a half hours work fills the morning and two hours organised sports occupies the afternoon. King Albert, the Belgian King arrives in Mons on the 27th. The Battalion supplies 50 men for the visit. Baths, training, pay, a mass march past for the G.O.C. Division and a half holiday occupies the 28th, 29th and 30th. In noting that Mons seems to have "lost much of its holiday air", the 1st is occupied with Church and clothing parades. Sports are continued in efforts to keep the men trim and occupied, with boxing being added in addition to "tug-of-war" on the 2nd. The 3rd sees the introduction of schooling, bringing education, skilled trades, languages and the teaching of elementary subjects for those who need it. A route march in full marching order fills the 4th, with a vaudeville show in the evening. King George V made an unofficial passage through the city on the 5th, walking across the entrance to Grand'Place, where the Battalion HQ was located. An Officer's Ball was held in the evening, at the Hotel de Ville, with 50 invitations going out the Mesdames in Mons. The event goes on into the "wee small hours...". Training, education and inspections continue through to the 9th, when a notable Ball was held, with the officers of the 3rd Canadian Division having the "honour of being the first British Officers to give a dance to the citizens of Brussels since the memorable Wellington Ball just previous to the Battle of Waterloo" . Recreational training and medical lectures fill the 10th, before orders were received to move out on the 11th. The Battalion marches to Morlanwelz (20km east of Mons), and on the 12th moves on to Luttre (10km north-east) for a few days rest. A large rail yard in Luttre is the site of a large recent munitions explosion. Goods of war are still intact and have been handed over to the Allies as surrendered war stores. Remaining in Luttre until the 15th, the Battalion then moves on to Vieux-Genappe (10km north), then on to scattered billets in Chapelle-St-Lambert in the Lasne Commune (10km north-east and 20km south-east of Brussels) on the 16th. "The terrain is hilly and the scenery old-Ontario-like". They are within sight of the "Butte du Lion" - the Waterloo Monument - 4km west in Braine-l'Alleud. The Battalion settles in to see Christmas in at Lasne, with trips to the battlefield at Waterloo and on into Brussels. Christmas post and parcels arrive in quantity and on Christmas Day, dinner is served to the Battalion by Companies. Young roast pork is served instead of the unobtainable turkey. Word is received during the day that the Battalion will now move west, to Lille for concentration and demobilization. This news is received with the enthusiasm one would expect. The 26th is spent recuperating from Christmas Day. After preparations, the Battalion marches to Alsemberg, 12km north-west, on the 29th, but transport problems meant that two companies did not receive their blankets that night. On the 30th the march is on to Goyck [known as Gooik today], where the Battalion holds to see in the New Year with these words recorded in the Diary, "The fateful year of 1918 passes out and all is well in the Battalion".